The most original storage space! 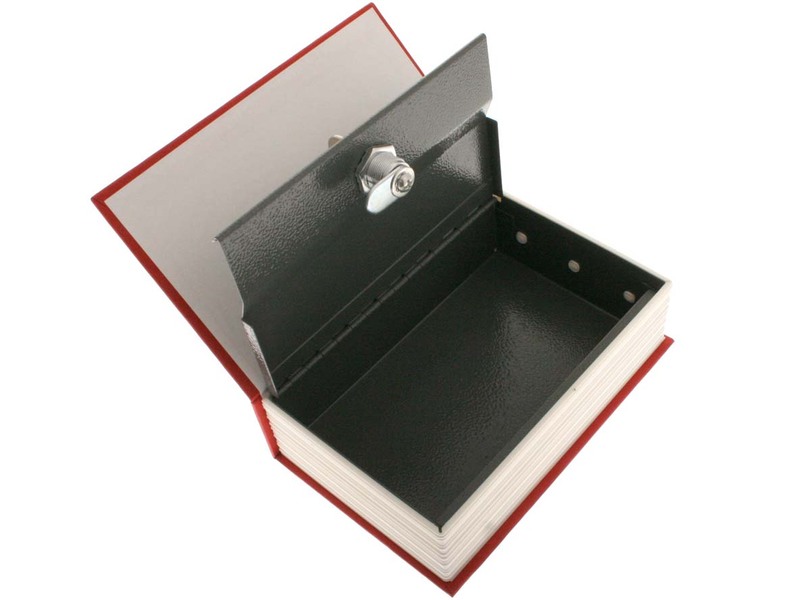 The best place to hide something, is a spot where no one will even think to look. 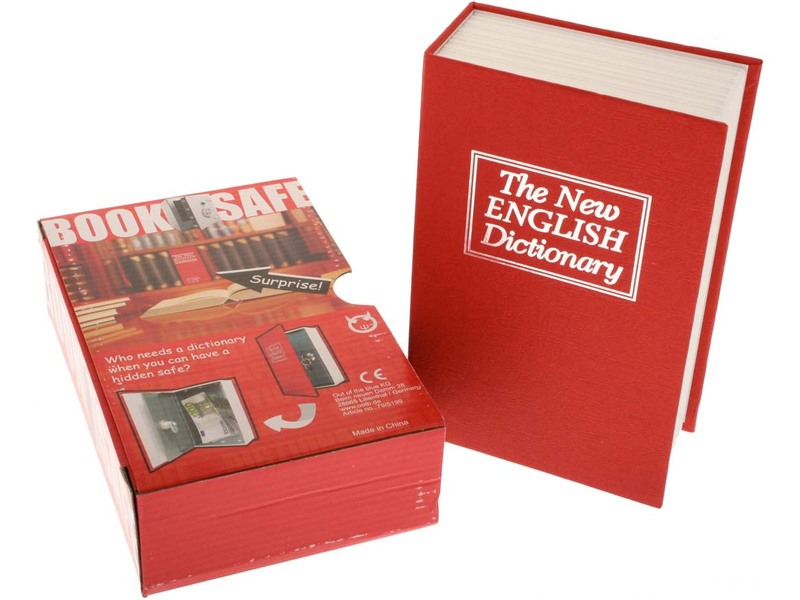 This little safe looks like an English dictionary, but in fact, it is a hollow storage space. 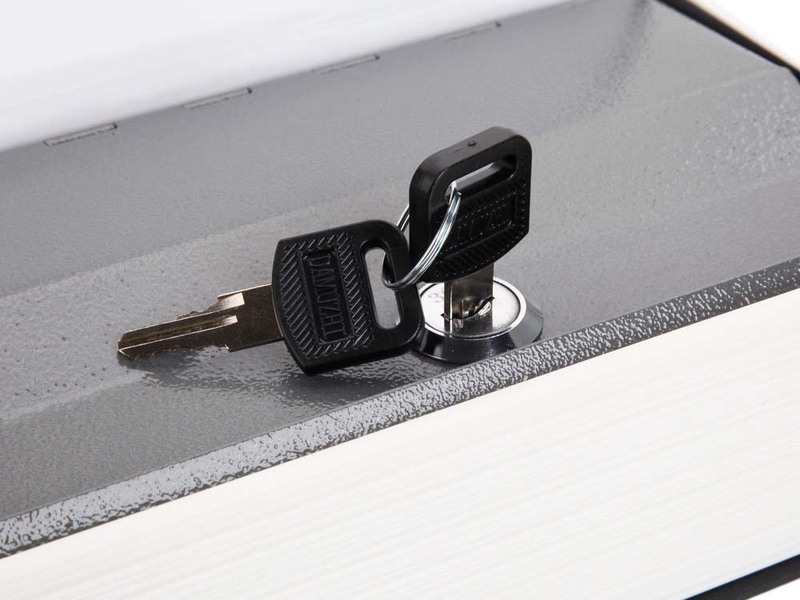 Lock the safe with one of the included keys and hide it in plain sight in your bookcase. 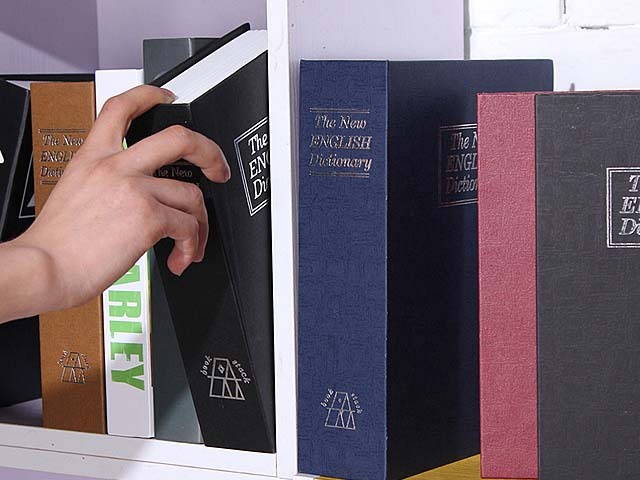 Unless someone tries to steal your vocabulary, your treasures should be safe. 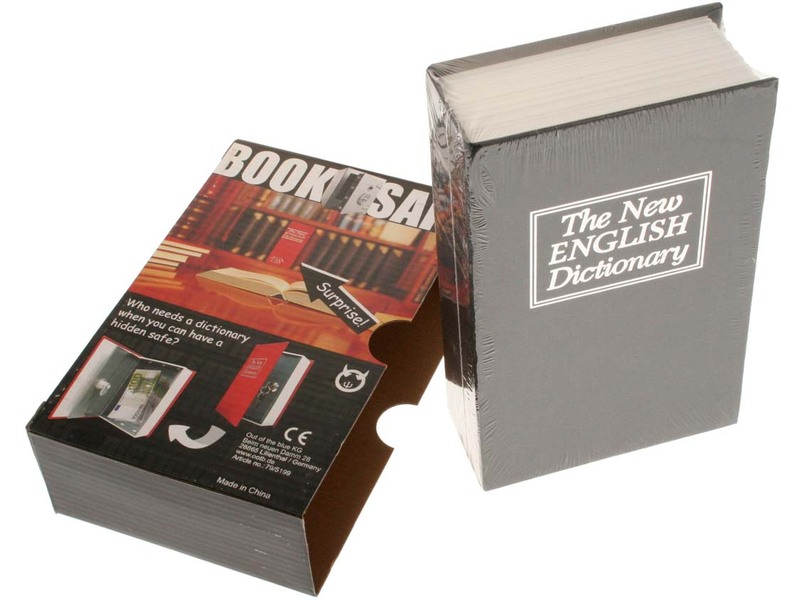 Paper is pressed around the metal body, so no one will see the difference with an actual dictionary. 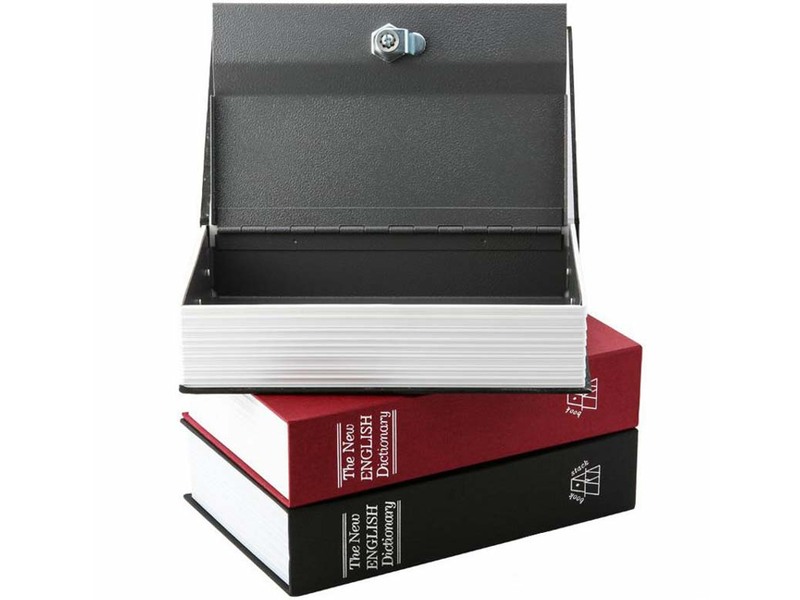 This original storage box case comes in red or black.